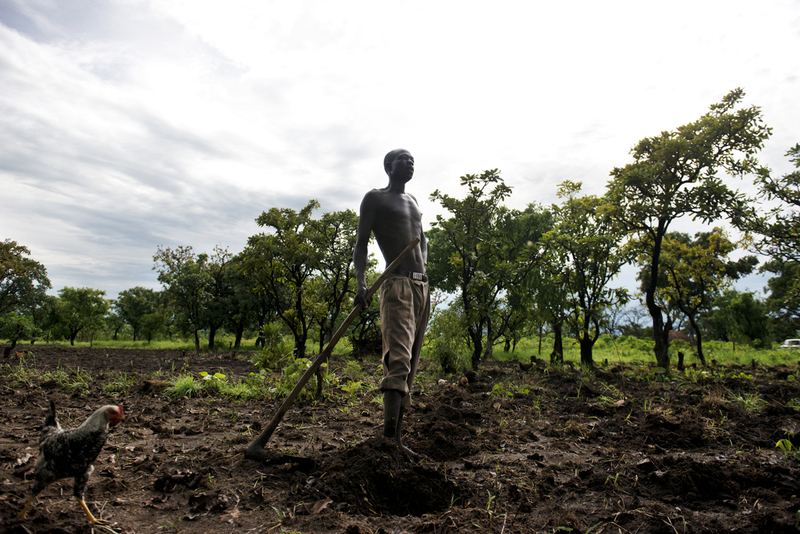 Ongee, a former Captain in the Lords Resistance Army, takes a break while planting cassava in his garden. Ongee, was abducted at the age of 22 and held for four years. After leaving the LRA he sought refuge with his family in Sudan for fear of punishment from the Ugandan government. He recently returned home after receiving amnesty and hopes to bring his family to Uganda in the coming months. Much of his life is now spent in solitude because he fears he will hurt or kill someone due to the stigmatization he continues to face in his community.